Loyalty is changing. For customers, it now means the experience they have at any time they interact with a brand, no matter when the interaction happens, or through which channel. These interactions are controlled by the consumer, not when the brand provides them the opportunity. Companies must find creative ways to use their loyalty programs to build and capitalize on the emotional connections engaged customers have with their preferred brands. 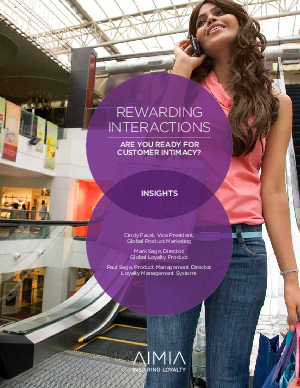 Download this whitepaper to see the best practices for improving customer loyalty and see what steps you should take to bolster your customer loyalty program.